Samsung launched its Galaxy S4 LTE-A smartphone in Arctic Blue and Aurora Red color options and now, the device is getting two new shades - Black Mist and White Frost. 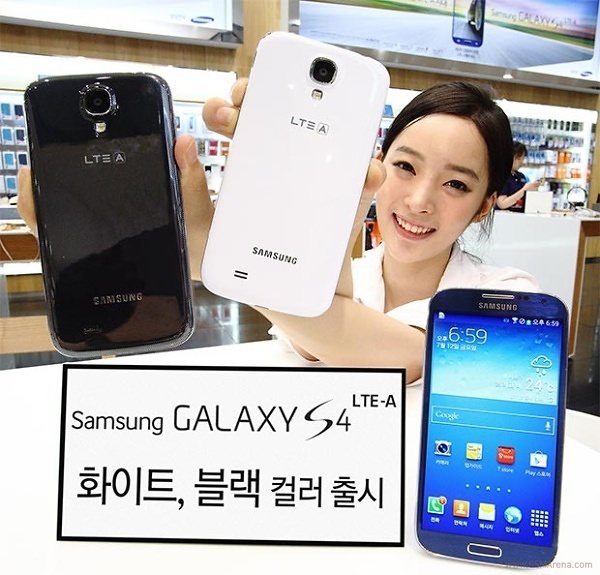 Samsung has already shipped 150k Galaxy S4 LTE-A units in its homeland in just 14 days after its launch and its hoping to continue the trend. The addition of new hues is expected to help the powerful smartphone maintain the good performance. To recap the specifications of the Samsung Galaxy S4 LTE-A, it comes with a Qualcomm Snapdragon 800 processor rather than the Snapdragon 600 on the international version. However, the rest of the hardware remains identical to its sibling. You're from Manila? Where did you buy it? Am very interested in the Arctic Blue version as well!